Fig. 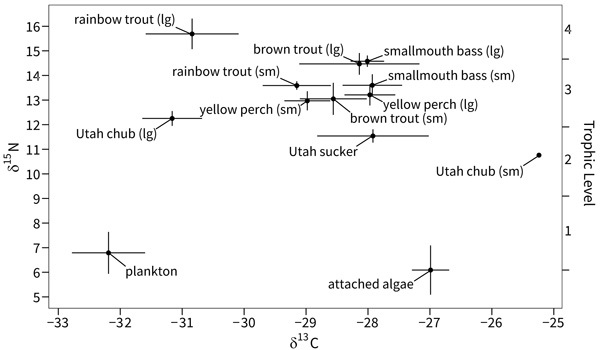 (2) Bi-plot of average δ13C and δ15N signatures of all fish species, algae, and plankton in Jordanelle Reservoir, Utah, USA. Error bars represent confidence intervals.